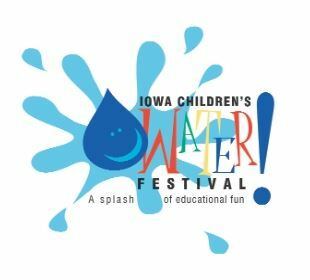 The 2019 Iowa Children’s Water Festival is May 09, 2019, at Des Moines Area Community College Campus in Ankeny, Iowa. The Iowa Children’s Water Festival is a FREE educational event that provides your FIFTH GRADE class the opportunity to learn about the importance of water in their daily lives through presentations, hands-on activities, exhibits, games and entertainment! Iowa Flood Center staff are partnering with the National Weather Service to educate students about watersheds, flooding, and flood safety. We hope to see you there! For more information, visit: http://www.iowachildrenswaterfestival.org/.